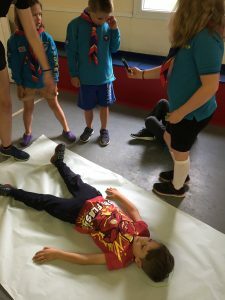 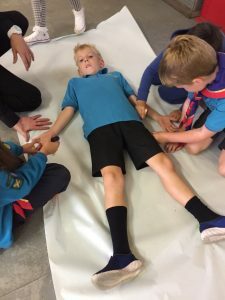 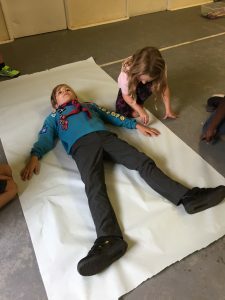 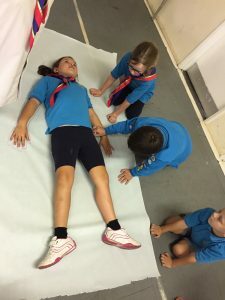 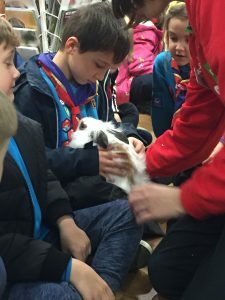 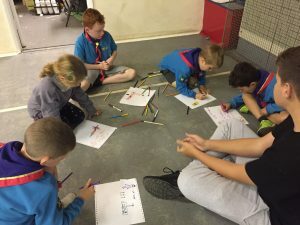 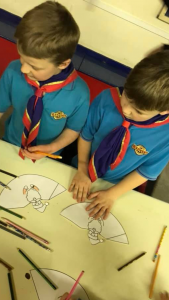 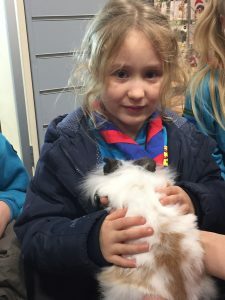 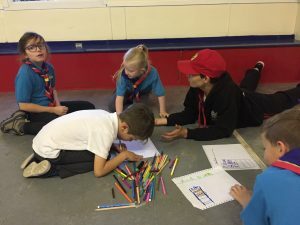 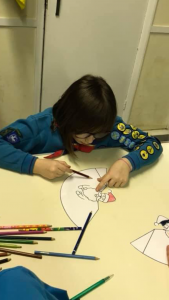 This term the Beavers will be working towards their My Teamwork Challenge Badge and their Space, Animal Friend and International Activity Badges, as well as their Hikes Stage Badges. 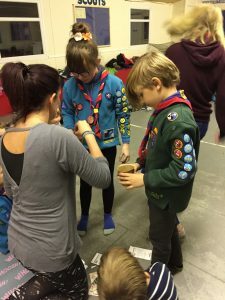 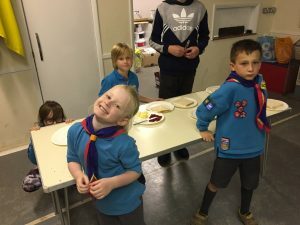 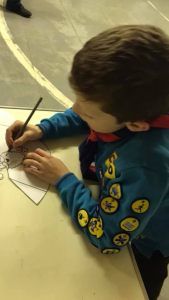 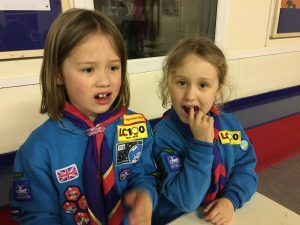 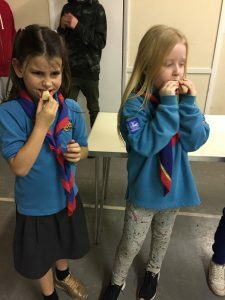 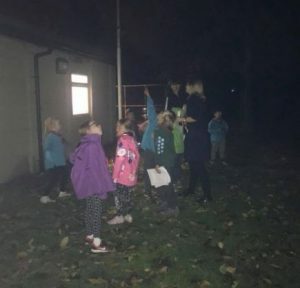 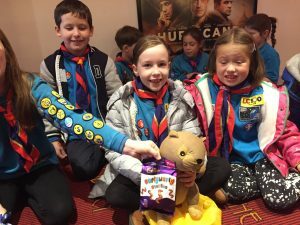 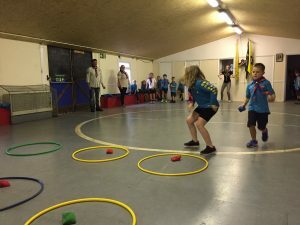 Please ensure that your little Beavers arrive at our meetings promptly no later than 6pm for registration to allow us to make the best use of time available, and most importantly ensure that your Beavers attend every session and activity for maximum badge awards. 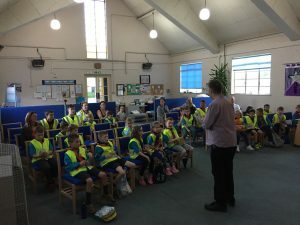 Our last meeting this term, and indeed this year. 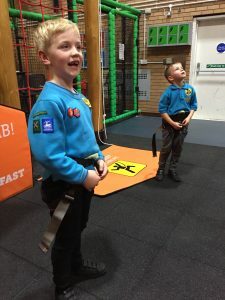 For this year’s Beavers Surprise Event we will be having an hour’s fun at the New Indoor Clip ‘n Climb and soft play at the Furzefield Leisure Centre in Potters Bar, on Tuesday 11th December 6-7 pm. 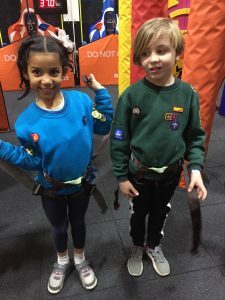 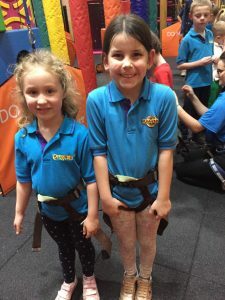 Both the Tuesday and Wednesday night Beavers will be attending on the same evening, and there will be a 30 min split between both the Clip ‘n Climb and the soft play before swapping over. 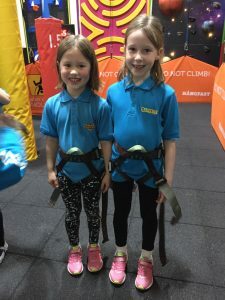 Please arrive 15 min beforehand and meet us in the activity area, there are facilities to have teas and coffees so please stay and enjoy the fun. 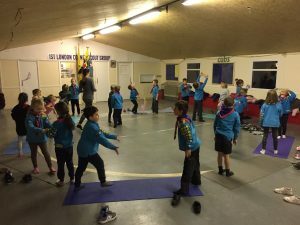 This activity has been arranged and paid for by the 1st London Colney Scout Group and there will be no cost to you. 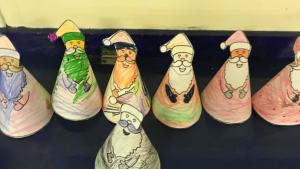 Vote for your favourite and say why. 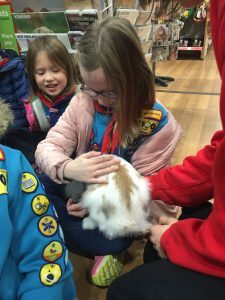 Meet at ‘Pets at home’ in St Albans (Opposite Sainsburys, across from Westminster Lodge) by 5.50pm latest for registration. 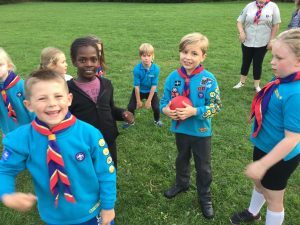 We have a time allocation from 6-7pm, Parent/Carers to deliver and collect beavers from this location. 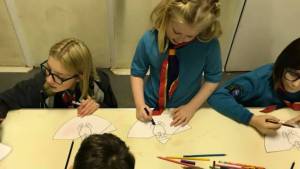 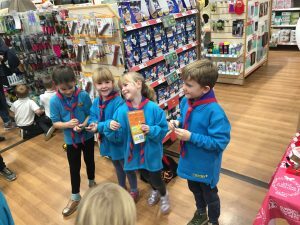 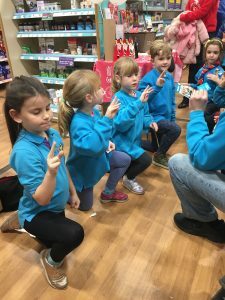 Welcome four newly invested Beavers, done at Pets at Home…..
We will be taking part in ‘mindfulness’ activities such as Yoga as part of our well being. 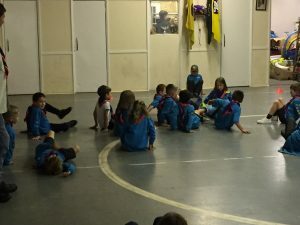 We will be learning a song (Heads, shoulders, knees and toes) from another Country. 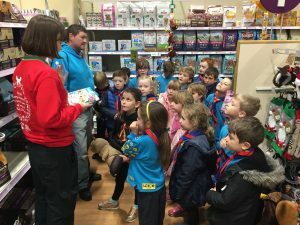 Plus learn how to say ‘Hello’ in that language. 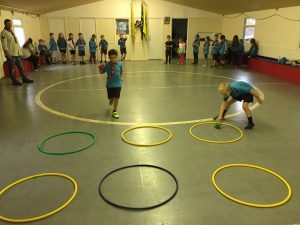 Followed by some games. 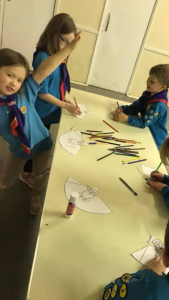 Letters will be given out with details of this Sundays ceremony. 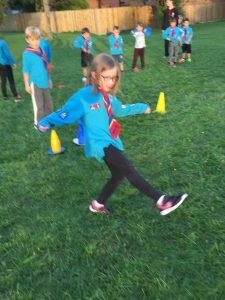 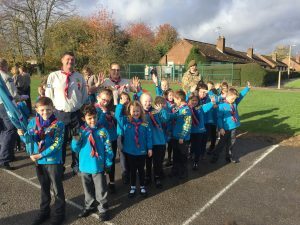 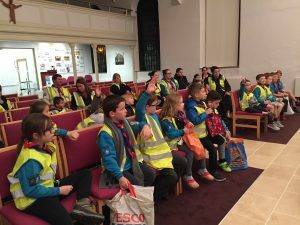 All Beaver Scouts are expected to attend and march along with every other member of 1st London Colney Scout group. 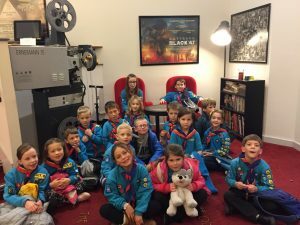 Information will be provided in advance with details of this.. ALL St Albans Beavers will have exclusive use of the ‘Odyssey’ movie theatre for a private viewing for a Saturday morning show! 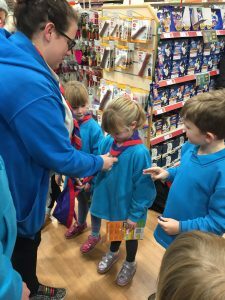 This is your chance to earn a badge this evening! 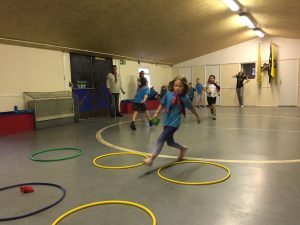 … And have a lot of fun too. 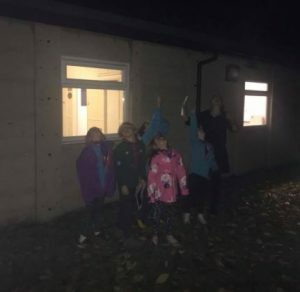 Hopefully we will have a clear sky this evening and observe some stars and perhaps the moon. 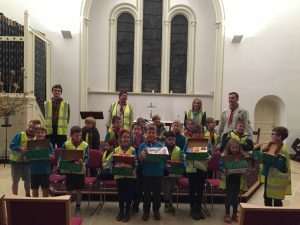 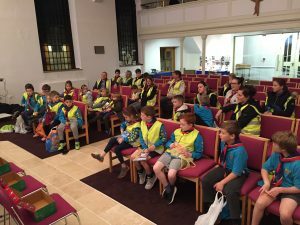 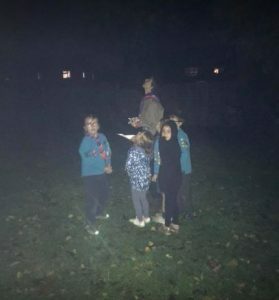 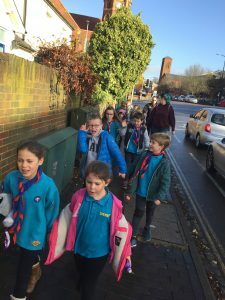 Beaver Scout hike; We will be hiking on both evenings to St Peters church to deliver our ‘Christmas boxes’ in readiness for the St Peters church Xmas box celebration the following Sunday. 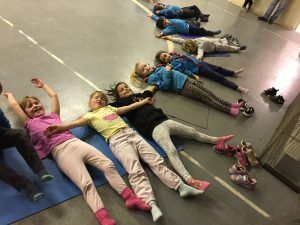 You are more than welcome to attend the Sunday service if you wish. 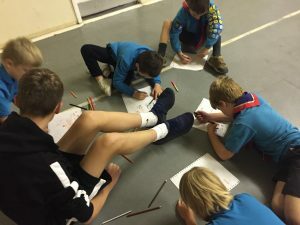 Log chew; Discuss as Lodges and write down what makes a good friend. 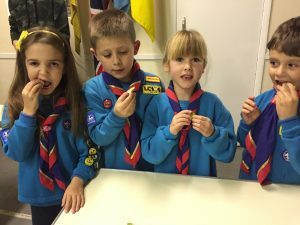 Log chew to discuss what items Beavers need to bring along next week to donate towards the annual Christmas shoe box event.. 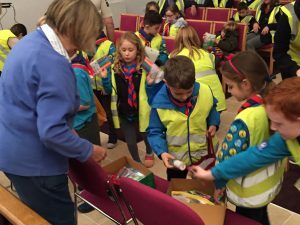 These will help less fortunate children have a gift to open on 25th December. 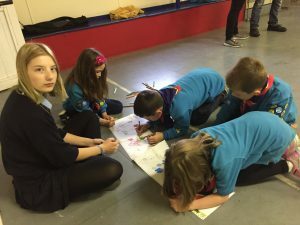 ‘Tell the world’; We will be working in Lodges making posters explaining why the issue we took action on for the food bank last week is important. 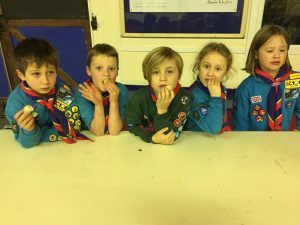 Log chew; discussing how our actions helped make people’s lives better, and what more could we do in the future to make an even bigger impact. 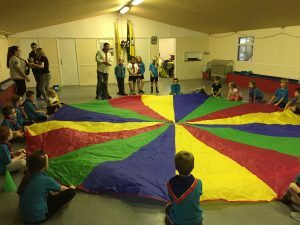 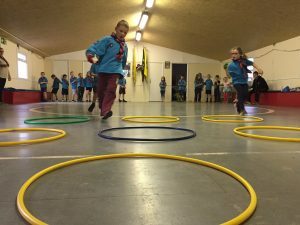 This is a group event involving all Beavers, Cubs and Scouts being held at ‘Tolmers’ Scout camp site near Cufley. 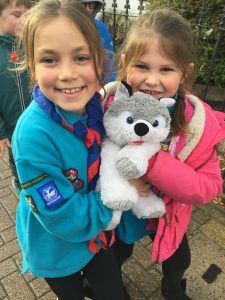 This promises to be a fun packed weekend for all with lots of events and activities. 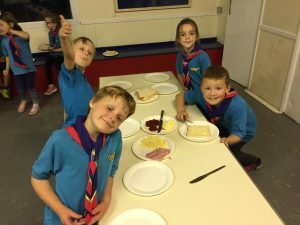 The cost includes cooked breakfasts, lunch and supper, as well as snacks, drinks and prizes. 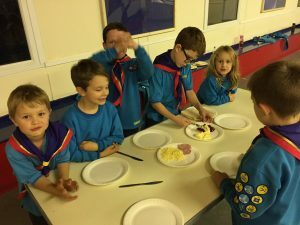 By coincidence, the emphasis is on ‘Teamwork’ which works well within our badge awards. 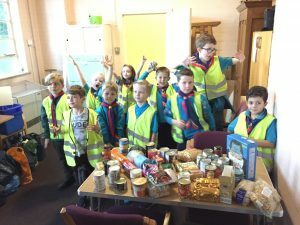 Hike to the Baptist church where we will all bring along an item of food to donate towards the local food bank. 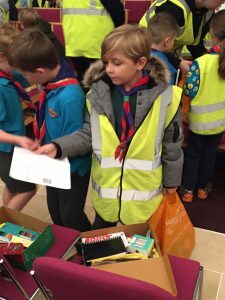 Any donations would be welcomed. 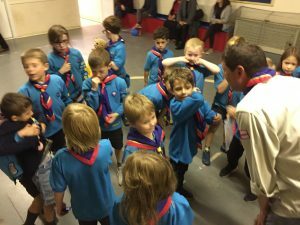 All Beavers to meet at the Scout hut, and collect also from the hut. 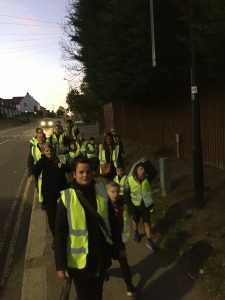 If any parents could assist in walking with us to the church, it would be appreciated. 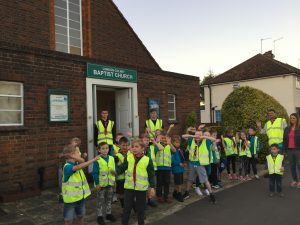 We will also have a ‘Log chew’ to discuss our hike to the Baptist Church next week where we will identify the needs and how it will help the local community issues. 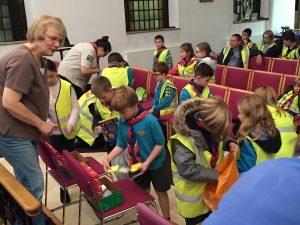 We will also be discussing the upcoming ‘Xmas shoe box’ collection, and how this helps internationally. 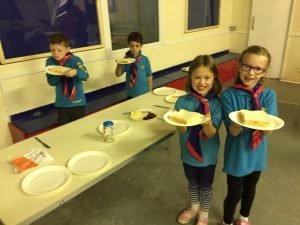 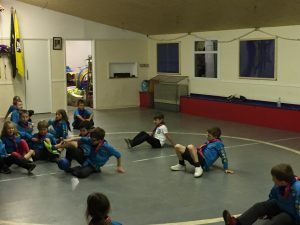 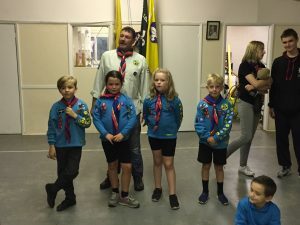 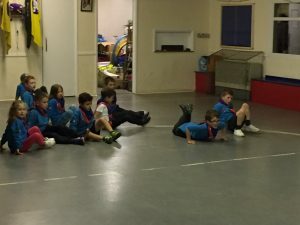 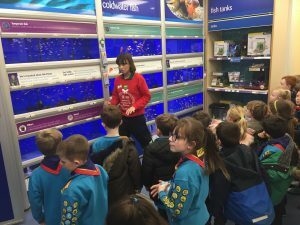 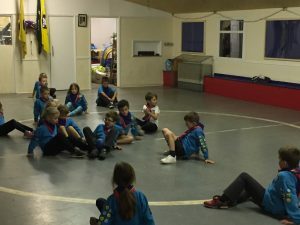 All Beavers due to swim up to cubs will be met by their new leader for the ‘Swim up’ ceremony, and have a chance to wag their tails goodbye to their Beaver friends. 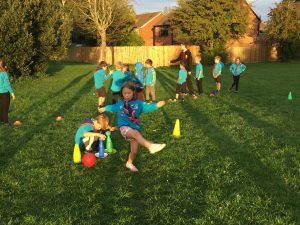 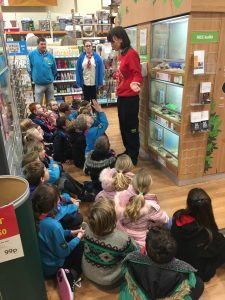 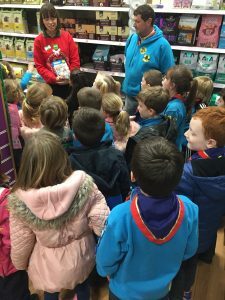 Welcome back to all Beaver Scouts, and a warm welcome to our new ‘Beavers in training’. 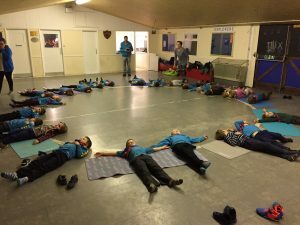 Beavers due to swim up to Cubs will attend both beavers and Scouts for three weeks before swimming up. 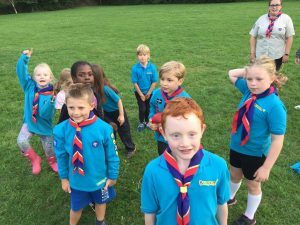 We will discuss our new planning, introduce a new ‘Lodge Captain’ scheme, settle all Beavers into their Lodges and have some fun & games.